Glaciers and tall ice-capped mountain tops are the backdrop to Anchorage, the largest city in Alaska, USA. With more than 300,000 residents, Anchorage is the heart and soul of Alaska. Anchorage is a gateway to adventure with grand mountains to explore and wildlife roaming its natural landscapes. Attractions include Anchorage Native Heritage Centre, Anchorage Museum and Cook Inlet. Pack your hiking boots because cheap flights to Anchorage are now available for a limited period of time! Anchorage is home to Ted Stevens Anchorage International Airport (ANC), which is located on a 15-minute drive from the city centre. Activities in Anchorage are for adventurous souls as levels of adrenaline will rocket as you play! Skiing, snowboarding and dog sledding are just some examples. 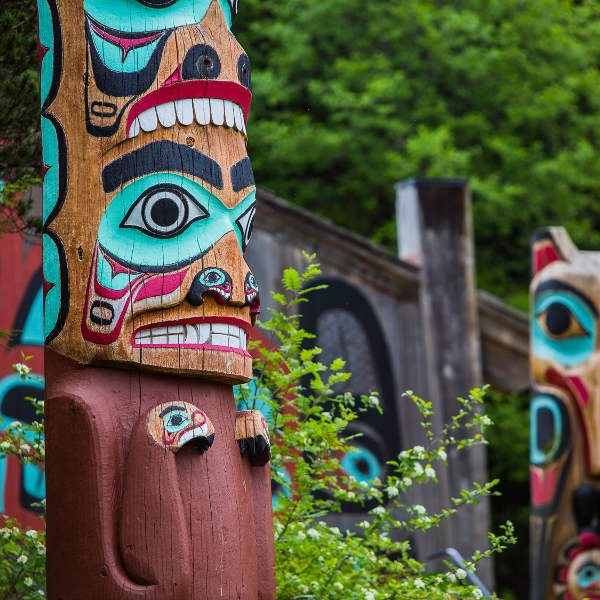 Visit the Alaska Native Heritage Centre for insight into the intriguing and unique ways of the eleven Alaska Native cultures found in the region. Marvel at these majestic icy giants as they tower over you, and spot some whales and porpoises as they splash about near your boat. With warm, mild summers, and white, icy winters, Anchorage and all its beauty is a top destination to visit. Most visitors opt to visit in the summer time, between June and August (average of 17°C). This is a wonderful time to spot wildlife (brown bears, moose etc.) and enjoy trekking in the mountains. This is also peak tourist season, so the prices of flights and accommodation do go up. Tours are open before and after the peak summer months though, so this would be the best time to go, as you can often get good deals (up to -25%) on prices. For cheap flights and accommodation, consider visiting Anchorage in winter (December to February). 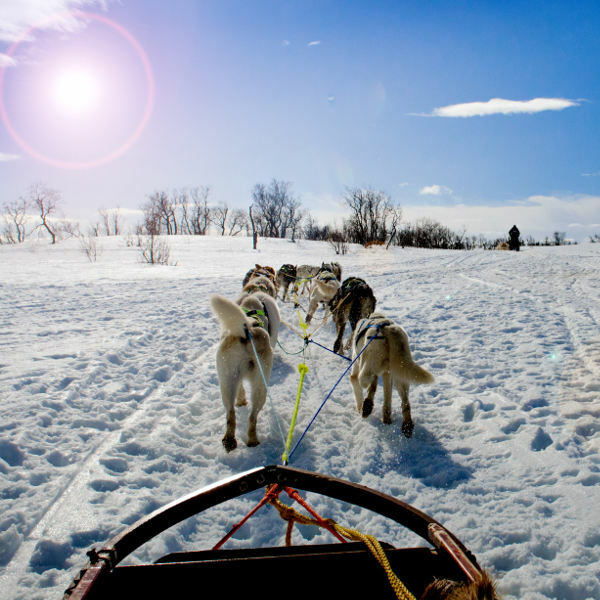 The selection of winter sports (dog sledding, snowboarding etc.) is exceptional, and you may even see the Northern Lights. There’s adventure and age-old traditions and customs in the crisp air of Anchorage. While the city is quite modern with all the conveniences that go along with it, you can’t help but be intrigued by the way of life in this northern city. The Native people of Alaska speak more than 20 languages, and have separated themselves into more than 11 groups. Learn a dance, a few words of the language, and some interesting bits of information at the Alaska Native Heritage Centre. 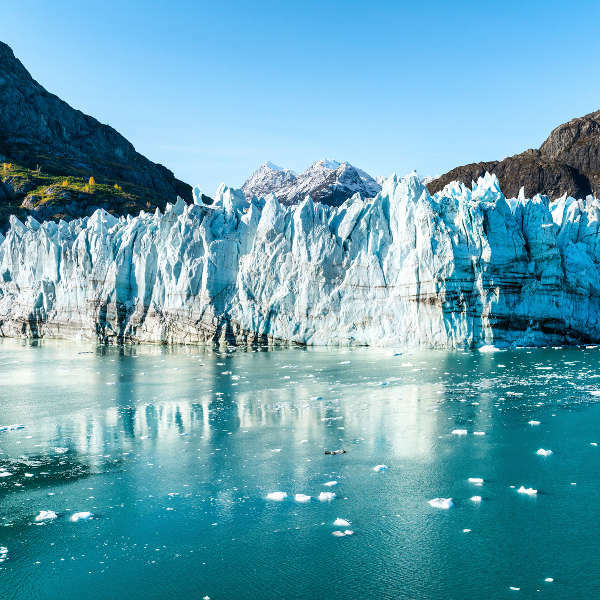 Noble glaciers dance in icy waters while wild sea animals, such as sea lions, whales and porpoises, swim along, enjoying the summer waters. You can take a boat trip out, and if luck favours you, you might bear witness to large cuts of ice crashing into the cold waters below. Make sure to take your camera along! There are also hikes in the Denali National Park, numerous types of winter and summer sports (skiing, kayaking, etc. ), annual events, and so much more to be found in Anchorage. Plan to stay at least a few days to take advantage of it all. Compare several airlines and book your cheap flights to Anchorage online at Travelstart! Anchorage is a fairly safe city, with low levels of crime. There have been reports of petty theft and vandalism though, so it would be a good idea to keep your expensive belongings out of sight and avoid walking alone in lesser known neighbourhoods. On tours, make sure to always travel with a guide, as you may not want to run into a moose on your own!